My Recent Date with Cary Grant: Was it all a Charade? First dates are their own creature, each one a unique experience. You bravely take the hand of another person and step up to spin the wheel. Will this encounter you’re embarking on together entail adventure? Suspense? Comedy? Action? Romance? What you ultimately want on this date is often a reflection of your own individual character, and if you’re lucky, you and your partner’s two personalities will align in harmony, crafting a date that is a smashing success. But if you don’t really know that other person, the unveiling of their persona could be a ruse, and you might find yourself caught up in a Charade. I recently had the good fortune to spend an evening with Mr. Cary Grant. I don’t know if this is every girl’s dream, but it’s definitely mine. He took me on a hell of a ride. For me, all the elements that make up a fabulous date were present: suspense, comedy, action and romance. Lots of romance. In fact, our date ended with a marriage proposal. And there’s only one reason I didn’t fall into his arms and cry, “yes, yes, yes!” You see, there’s another man that occupies my heart. His name is Bond, James Bond. And by James Bond, I mean Sean Connery. So I’m faced with a dilemma. I need to compare these two gorgeous hunks of masculinity. So like any smart and generous girl, I gave them each a chance to impress me with some of their finest work. Since Mr. Grant was already holding my passion in Charade— an outstanding movie—I allowed Mr. Connery to seduce me in From Russia with Love, arguably one of his best Bond films. Aside from their mutual high quality, huge popularity, and similar genres, both Charade and FRwL were released in 1963 and fall into the same thin slice of history. And they both have amazingly similar plot points. Before I delve into my comparisons of my handsome leading men, their leading ladies, and the films in general, I need to explain the twist in my analysis. As I study these films, I believe the proper character comparisons would be to match Connery’s Bond to Audrey Hepburn’s Charade character of Regina Lampert. 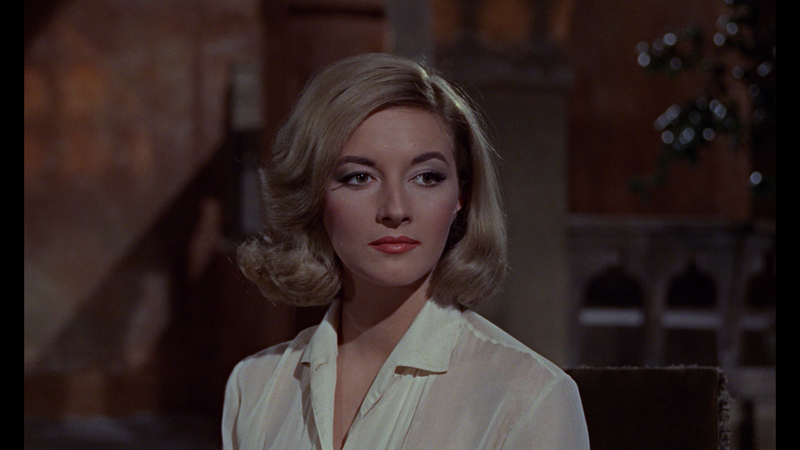 This leaves me comparing Daniela Bianchi as Tatiana Romanova—our FRwL Bond Girl—to Mr. Grant’s character of…well, I guess that’s why it’s called Charade—we don’t really know who he is. My comparison begins immediately with the opening titles of the two films. Obviously, FRwL begins with the iconic “shifting spiral” that I’ve always assumed was the view from the inside of a gun barrel of Bond’s rival. Bond steps into the background of this scene, fires his gun at said rival, and the spiral turns red from cascading blood—it’s a drill we all know and love. Charade’s title begins with very modern, quickly streaming, coiling, yellow and blue arrows that instantly blend to create a red spiral. I love symbolism and am only taking a stab at this, but I wonder if these colorful arrows prophesize that we’re embarking on a fast paced journey that will appear to be one thing, only to transform suddenly before our eyes. This is the essence of Charade—we’re running through the twists and turns of the movie with Mr. Grant, and he keeps changing colors on us. Both films present us with an opening red spiral as a clue to the upcoming plot. In Charade we are introduced to Miss Hepburn’s character, Regina Lampert—who I’m dubbing as our “agent”—at a ski resort in the French Alps. She’s causally dinning outdoors alone when unbeknownst to her she is the target of a drawn pistol. Although there is instant tension for the audience, this situation quickly resolves to be the first “charade” of our film, as we discover it is only a water gun and the perpetrator is a young boy, the son of Regina’s female companion. In FRwL, we are introduced to Mr. Bond, also outdoors, but in the dark of night. We’re also immediately made aware that he is in danger, probably being pursued by an opponent that wants him dead. We watch as that opponent attacks and chokes Bond until he lies dead on the ground. But alas, it was all a charade. The man who we believed was 007 was merely an unfortunate masked patsy at a SPECTRE training camp. 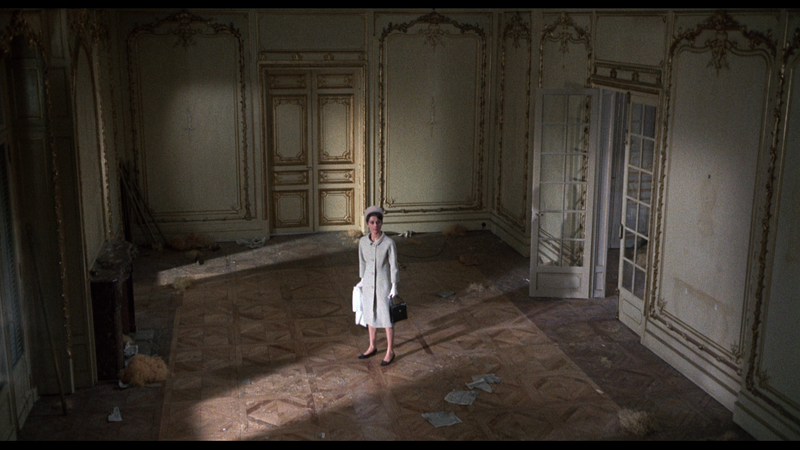 In Charade Mrs. Lampert returns home from her holiday and is shocked to discover her posh Parisian apartment has been cleared out. While standing alone in its vast emptiness she’s surprised by police inspector Edouard Grandpierre (played by Jacques Marin) who escorts her to his office and explains that her husband, Charles, whom she’d intended to divorce, was murdered. He informs Regina that during WWII, Charles essentially stole a quarter of a million dollars in gold from the U.S. government which was part of an O.S.S. operation. The belief is that his murderer was attempting to retrieve the money. But in recent days Charles liquidated all his assets, and Regina has no idea where this money could be. The inspector presents her with a small, non-glamorous travel bag that contains all that’s left of Charles’ earthly possessions. So Regina has her quest, to find the money, and her tools, the contents of the travel bag. And Inspector Grandpierre becomes our authoritarian figure and maintainer of the law. In essence, he attempts to keep Regina on the straight and narrow, popping into the story to discipline her, feed her tidbits of information, and provide humor. In Bond terms, the inspector equates to a combination of M and Q. As in many Bond movies, in FRwL, 007 and the audience are likewise introduced to Bond’s mission in a formal government office—that belonging to M—played by Bernard Lee. M explains to Bond that a female, Russian agent is offering to defect with a Lektor (a decoding device), which MI6 and the CIA have been after for years; however, she has stated she will only defect to Bond. After Bond’s mission is understood, Q makes his entrance, momentarily stealing the show, dazzling us and Bond with a gadget briefcase. Thus in both movies, the “agents” initial intelligence and quest are neatly presented in an office of a government official with the backdrop of formality, high fashion, and bits of humor, and both agents receive a bag that becomes their tools. Let’s spend a little time with our Bond Girls. 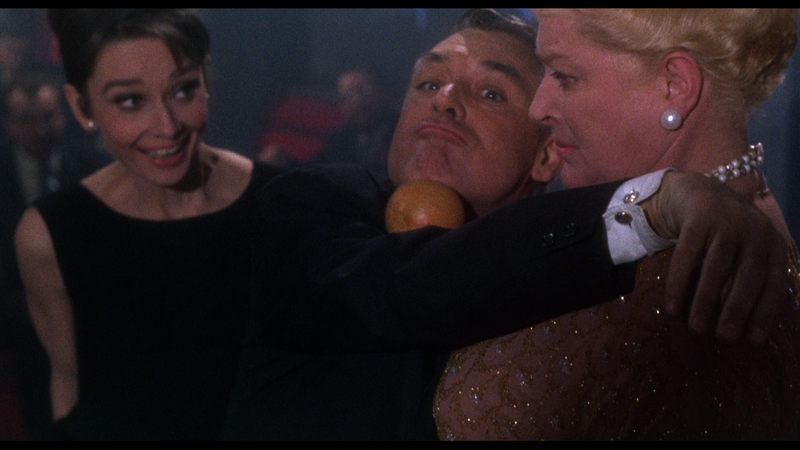 I in no way mean to emasculate Cary Grant, but in Charade his role equates more to that of Tatiana Romanova, our FRwL Bond Girl. Grant is fetching, charming, and clearly the object of Regina Lampert’s desire. He’s mysterious and central to the plot, but we’re just never sure how, because his identity and motives are constantly changing. It is not until the last minutes of the film, right before the marriage proposal, that Regina and the audience learn of Grant’s true name, occupation, and motives. He begins by introducing himself to Regina as simply the charming and concerned Peter Joshua, who comforts her and helps her move into a hotel. But she is soon informed by one of the men that were involved with her husband’s O.S.S. plot that Grant is actually Carson Dyle. The informant is part of a trio that is threatening her in order to get the stolen money. He claims that Dyle was part of the same O.S.S. heist and also has the similar intentions regarding Regina. So, although she is falling for Grant and wants to trust him, she now has fear and doubts. Grant convinces her that he is really Carson Dyle’s brother, Alex, and that his brother Carson was murdered by the trio that is threating her. As the hunt continues and Regina learns that Dyle had no brother, Grant tells her he is actually Adam Canfield, a professional thief. At this point Regina has to be overwhelmed with suspicion and fear, but I think she’s just so in love that she finds herself trusting Grant. But in the end, we learn this was yet another charade. The final climaxes of FRwL and Charade have striking similarities. In both films we’re engaged in a scene involving our agent, our “charading”/Bond Girl character, the villain, and the quest object. Our agent possesses the quest object and is close to completing their mission—to turn the quest object over to the intended authorities. Obviously, the villain is attempting to steal this object and has no qualms about killing the agent if necessary. And it becomes a moment of truth for the agent when the charade character has to reveal their loyalty and—for the most part—leave the charade behind. It’s remarkable to me that in both films our charade character becomes the hero, killing the villain as the villain is about to kill our unarmed agent. And on a continuation of the gender flipping theme, in FRwL that villain is a woman. 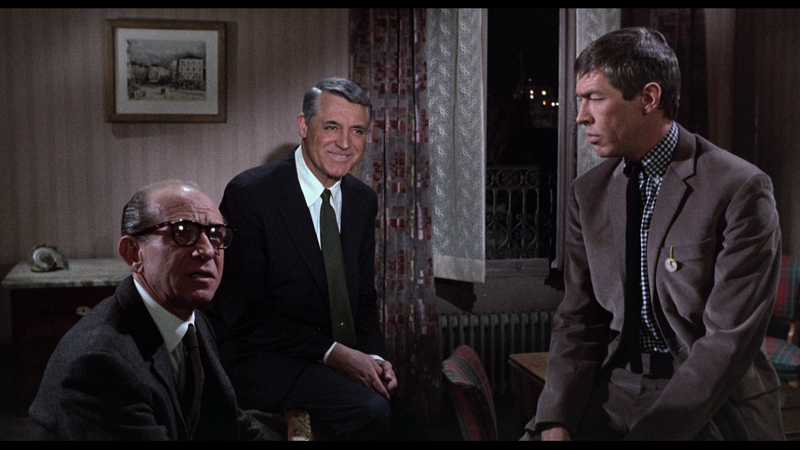 In Charade it is a man. I can’t conclude this essay without mentioning a character that really sweetens the Charade plot. He’s pulling off his own sham, and we never have a clue. Walter Matthau charms as CIA administrator, Hamilton Bartholomew. He’s intelligent, witty, and Regina’s true confidant. She utterly trusts him… until the climax, and perhaps, so do we. Bartholomew is possibly my favorite character—he’s the punch in the gut we never see coming, even during repeat viewings. Have I resolved my dilemma, allowing just Cary Grant or Sean Connery to fully occupy my passion? No. And why would a girl become beholden to just one when they’ve both given us so much wonderful, exciting, sensual film in which to indulge. If I professed my love to just one man, in all honesty, it would simply be my own charade. Favorite Bond Girl: In my fantasies, it’s me. First Bond Movie: My first Bond memory occurred right after my family got cable TV (we lived in the sticks). The only scene I remember is Sean Connery in a coffin rolling into a cremation oven. I believe this is in Diamonds Are Forever. How I discovered #Bond_Age_: When I first joined Twitter and consider my interests, James Bond was one of the first things that came to mind. How could I not follow an avatar of Sean Connery? Following #Bond_Age_ has been one of my best Twitter decisions and a lot of fun. I highly recommend it!